Nokuthula Ngwenyama gained international prominence winning the Primrose International Viola Competition at 16. The following year she won the Young Concert Artists International Auditions, which led to debuts at the Kennedy Center and the 92nd Street Y. An Avery Fisher Career Grant recipient, she performs with orchestras and collaborates musically around the world. 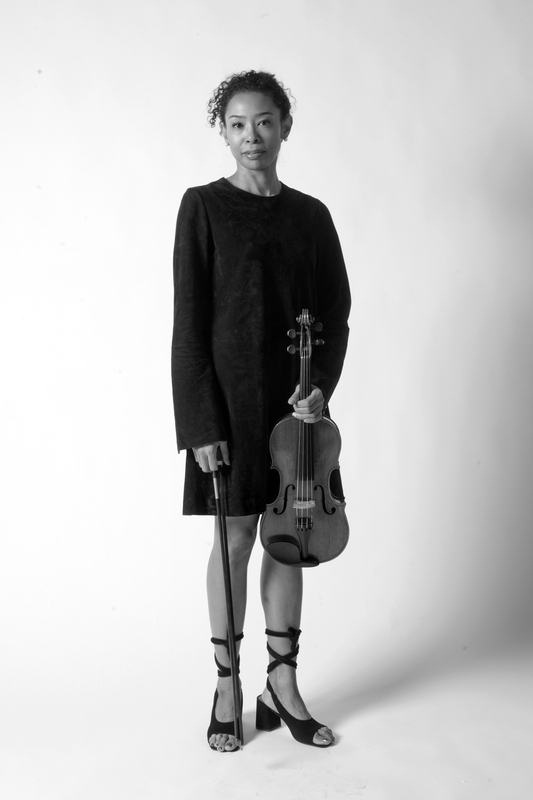 Recently featured on American Public Media’s Performance Today, she spoke of her career and a directorial debut: Rising for Solo Multitrack Violin and Pedals with video featuring choreography by Zimbabwean modern dancer Alexander Mhlanga and Dance Theater of Harlem’s Da’von Doane. Primal Message for viola quintet, performed with the Dover Quartet and jointly commissioned by the Phoenix Chamber Music Society and Chamber Music Northwest, was “indeed intelligent, emotional and good” (Matthew Andrews for Oregon ArtsWatch). This season includes the much-anticipated release of recital album Sonoran Storm (EDI) with pianist Eckart Sellheim with Rising, her orchestral album with the Janacek Philharmonic Orchestra featuring her compositions (PMP), being released in the fall. Ms. Ngwenyama has performed at the White House and testified before Congress on behalf of the National Endowment for the Arts. An avid educator, she served as visiting professor at the University of Notre Dame and Indiana University. She also served as director of the Primrose International Viola Competition for three cycles and as president of the American Viola Society for a three-year term. Born in Los Angeles, California of Zimbabwean-Japanese parentage, “Thula” has composed since childhood, studying theory and counterpoint under Herbert Zipper, Mary Ann Cummins, and Warren Spaeth. As a Fulbright Scholar, she attended the Conservatoire National Suprieur de Musique de Paris, and received a master of theological studies degree from Harvard University. While studying at the Curtis Institute of Music, her theory teachers included Edward Aldwell, David Loeb and Jennifer Higdon. She is the first composer in residence of the Phoenix Chamber Music Society. Ms. Ngwenyama’s plays an Antonius and Hieronymus Amati viola from 1597, on permanent loan from the Biggs Collection.